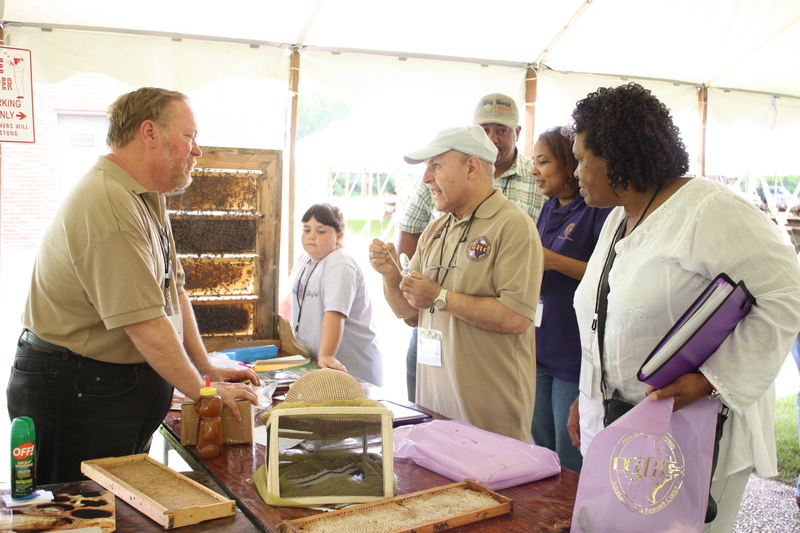 PRAIRIE VIEW, TX – The selling and marketing of food and other agricultural products, specifically at farmers’ markets, was the focus of the 2010 Agricultural Field Day held May 22 on the campus of Prairie View A&M University. The College of Agriculture and Human Sciences hosted this annual event, which brought together more than 200 farmers, goat and beef cattle producers, vendors and other interested persons. Michael Kelling of the Central Texas Beekeepers Association, left, answers audience questions in the Beekeeping for Beeginners session. After greetings from Dr. E. Joahanne Thomas-Smith, provost and senior vice-president for Academic Affairs at PVAMU, and remarks from Dr. Kyle Smith, executive associate director for Texas AgriLife Extension, participants moved into the concurrent workshops. Billy Lawton, program specialist- Agriculture & Natural Resources, Cooperative Extension Program, explains Rainwater Harvesting techniques to workshop participants. Milton and Diann Woods, owners of Millie's Barn Vegetables, are pictured on far right. “Artificial insemination is one of the most effective tools available to enhance the productivity and profitability of beef cattle production systems, however we’re seeing that even though this tool has been commercially available for more than 65 years, it is still dramatically underused in today’s beef herds,” said Major Stevenson, Jr., Extension agent – Agriculture and Natural Resources – Fort Bend County and one of the presenters in the Small Acreage Beef Improvement Project workshop. 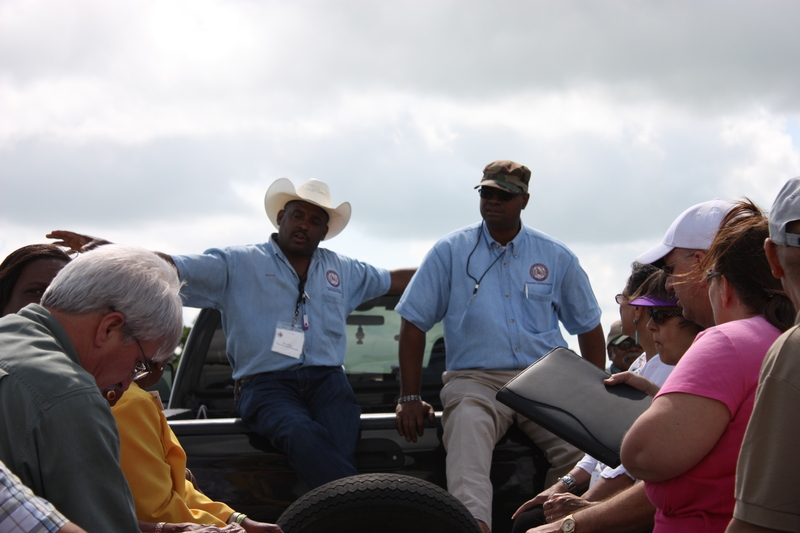 Kelvin Neal, left, and Major W. Stevenson, Jr., right, Extension agents, Cooperative Extension Program, give tour of Prairie View A&M University Farm. “Using artificial insemination in your herds could mean increased weaning weights, improved post-weaning performance, enhanced carcass value and more productive replacement heifers,” said Stevenson. 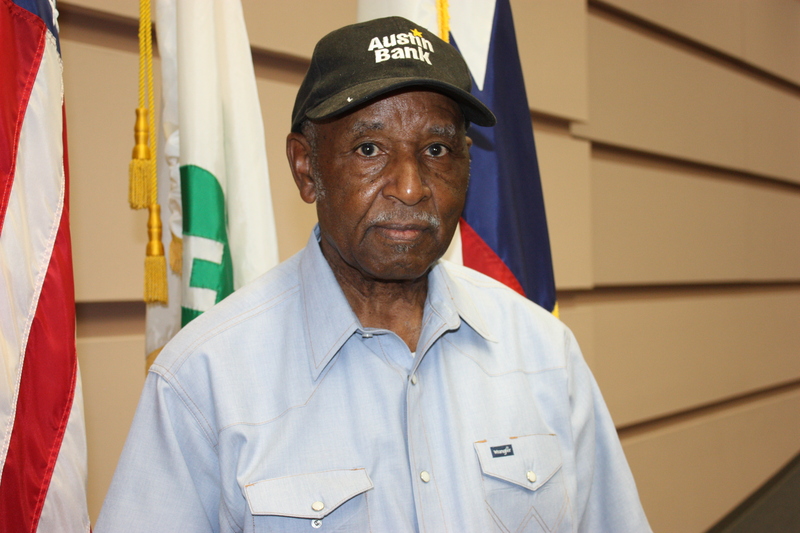 ictured is Cherokee County Field Day participant, Leonard Montgomery. 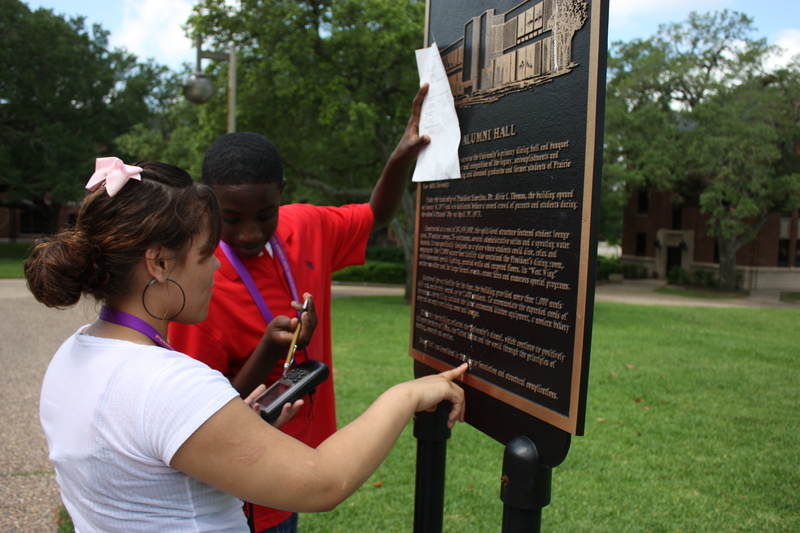 High School Career Day students track coordinates of Prairie View Alumni Hall using GIS technology. Holmes was one of eleven students that Ronald Kelley, an agriculture science teacher at Central Medical, brought to the High School Career Day. “We definitely want to spread the word that the agricultural and human sciences are viable fields to pursue academically and as a career,” said Dr. Richards. The Field Day afternoon session featured the symposium, Marketing at the Farmers’ Markets, which was coordinated by Dr. Gary Newton, research leader, International Goat Research Center, and research scientist in the Cooperative Agricultural Research Center. The Farmers’ Markets symposium had several presenters to inform the audience about safety requirements necessary for mobile food establishments in Texas, up-to-date licensing requirements needed to sell goods in the markets and other pertinent information. In addition to attending workshops, Field Day participants toured the University Farm and the International Goat Research Center. 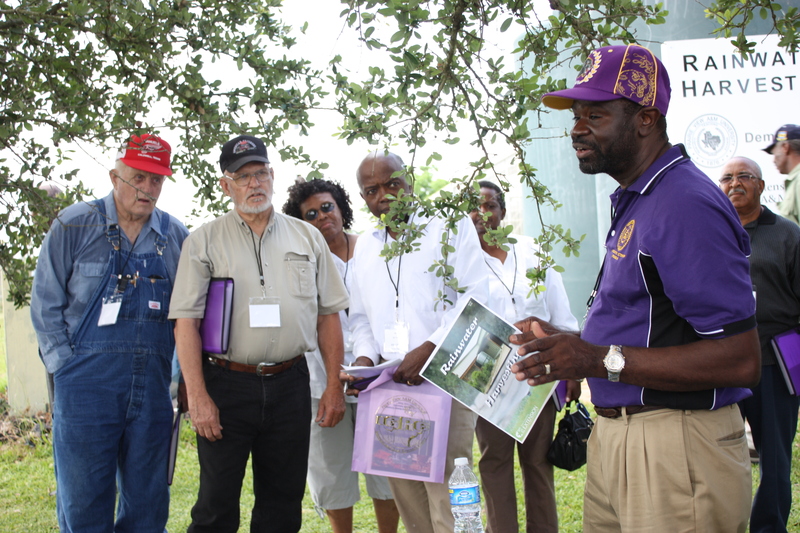 For more information about the Prairie View A&M University Agricultural Field Day, call 936/261-5072 or visit pvcep.pvamu.edu. This entry was posted on Friday, May 28th, 2010 at 5:10 pm and is filed under Agriculture and Natural Resources. You can follow any responses to this entry through the RSS 2.0 feed. You can leave a response, or trackback from your own site.